We often get asked, “where is the best area to invest?” Or, “would it be better to invest out of town or close to home?” These are all great questions, and the best answer would be to look where new jobs are being created. With the creation of new jobs means more workers moving into the area and more demand for rental properties, which translates to less vacancies. According to the Real Estate Investment Network, or REIN, after about 18 months, these same workers will want to start buying their homes close to work, which will likely drive up home prices. 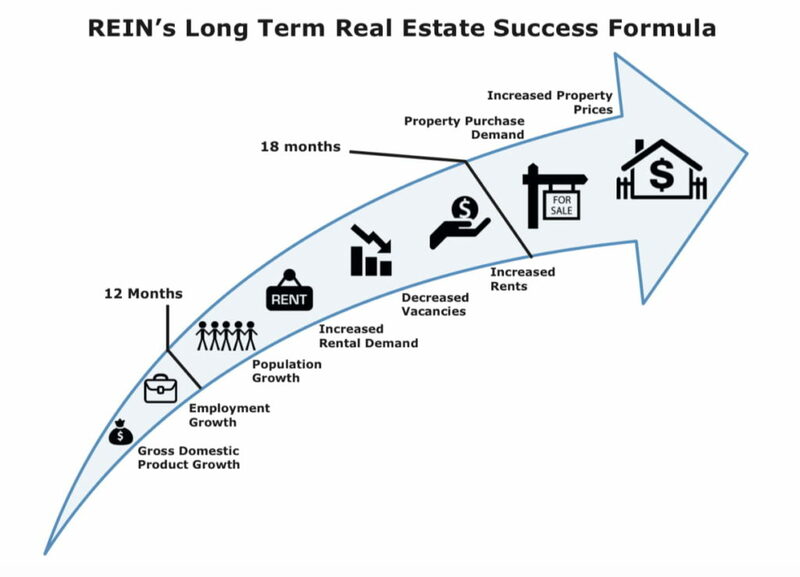 REIN calls this the “Long-Term Real Estate Success Formula” as shown below. Watching out for Amazon leasing a 450,000-square-foot facility in Tsawwassen, or LNG projects being approved Northern BC, and others such as this and purchasing in areas of job growth. The LNG project, according to a news conference took place in Vancouver with Prime Minister Justin Trudeau and LNG Canada Chief Executive Andy Calitz, is a massive, $40 billion liquefied natural gas project that is taking place in Northern BC. This project will involve a pipeline carrying natural gas from Dawson Creek in Northeastern BC to a new processing plant on the coast in Kitimat. And from there, the gas would be liquefied for overseas export. With the potential of over 10,000 new jobs around the site, it is expected that the demand of rental housing would increase in a relatively high percentage, primarily from the workers and their families. Lori Ackerman, Fort St. John Mayor, said she expects other developments will also move forward, ranging from new parks to transportation to expanded post-secondary education network, aimed at a growing population. Another factor to consider is transportation. Anywhere where the skytrain or LRT (light rapid transit) lines are within a 10 min walk will drive up rents and property values by about 10%. Currently, Translink has the following 2 projects undergoing: the Millennium Line Broadway Extension and the Surrey Light Rail. According to Translink, the Millennium Line Broadway Extension will start from VCC–Clark Station, then travel beneath Broadway and ending at Arbutus Street. A future phase of investment will connect all the way to UBC’s Point Grey campus. As for the Surrey Light Rail, the project will go along King George Boulevard and 104 Avenue, connecting Surrey City Centre, Guildford, and Newton. Therefore, we could foresee places like Surrey and even Vancouver to Arbutus will be desirable for tenants to live at. As a result, when we factor in where new jobs are being created and where transit, specifically skytrain and LRT are located, these are the best areas to invest in where you will see higher rents and ultimately higher property growth. 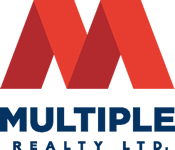 To learn more about current investment opportunities, please set up a meeting with us. 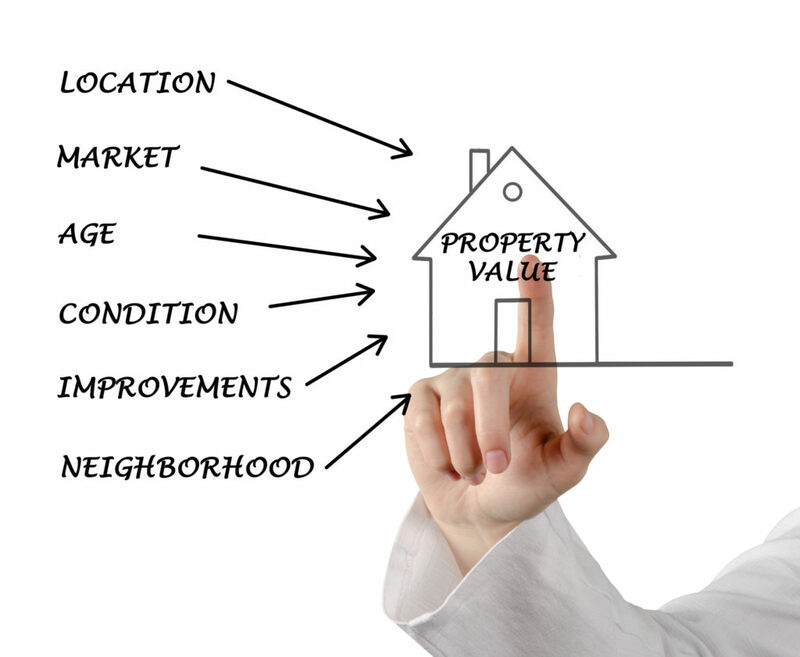 We will customize potential investments to your individual criteria.